Depending if the broken wrist bone is in good condition, a casting may be used to align and hold the bone in place until it has fully healed. A splint may be used before hand to allow natural swelling to occur. Once the swelling subsides a cast of the wrist and or forearm will be applied. The cast is then changed after further swelling shrinks allowing some breathing room around the area. Recovery varies based on the severity of the injury but generally speaking the patient should expect around 6 weeks to regain bone strength. A splint will be used throughout the healing process. In cases where the bone cannot be easily pushed back into place with a splinter and cast, surgery is needed to correct the abnormality in the wrist and insure functionality. Internal fixation involves an incision over the fracture and applying a stainless steel plate screwed directly to the bone to achieve alignment. The plate will prevent further displacement of the bone. After the patient has gone through the internal fixation procedure they may improve in wrist movement within 1-2 weeks. During that period a temporary splint is used to support the hand. Some fixation involves nothing more than pins and the use of a cast. An incision is not necessary and can be done with regional anesthetics in the operating room. A cast is then applied, once the fracture has healed the pins are removed to make way for therapy, the final treatment. The procedure involves the implementation of an external frame that holds the bone in place through the use of pins. This technique has been significantly improved over the years and complications with this procedure has been greatly reduced, meeting higher clinical expectations. Percutaneous pins are used in combination with the external frame in support of the bone fragments. The external frame allows the patient to move the fingers freely for lightweight activities after the procedure is complete. The patient is not allowed to shower regularly until after the 10 day waiting period. 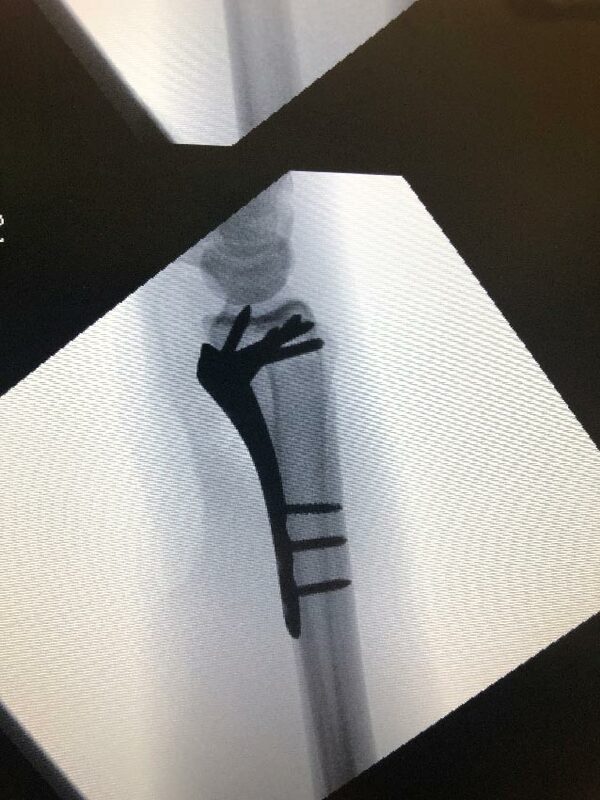 The pins are removed 3 to 6 weeks after surgery and a splint will be used in the remaining weeks. Distal Radial Fractures (also known as wrist fractures) are very common in the U.S. The injury is most common among those who have experienced hard falls and instinctively spread their hands out to land. Distal Radial Fractures are also associated with car accidents, motorcycle accidents, and bike accidents. The radius is the most commonly broken bone in the arm and is located on the same side of your thumb. There are two bones that meet in the end and wrist begin, the Radius and the Ulna. The Radius is the largest of the two bones and fractures almost always occur at the end of the bone closest to the wrist injury. The Radius is prone to this kind of fracture due to the fact that when a person falls on their hands, the radius is the bone that absorbs the most impact. What are the Symptoms of Distal Radial Fractures? Symptoms include swelling, wrist pain, and deformity of the wrist. 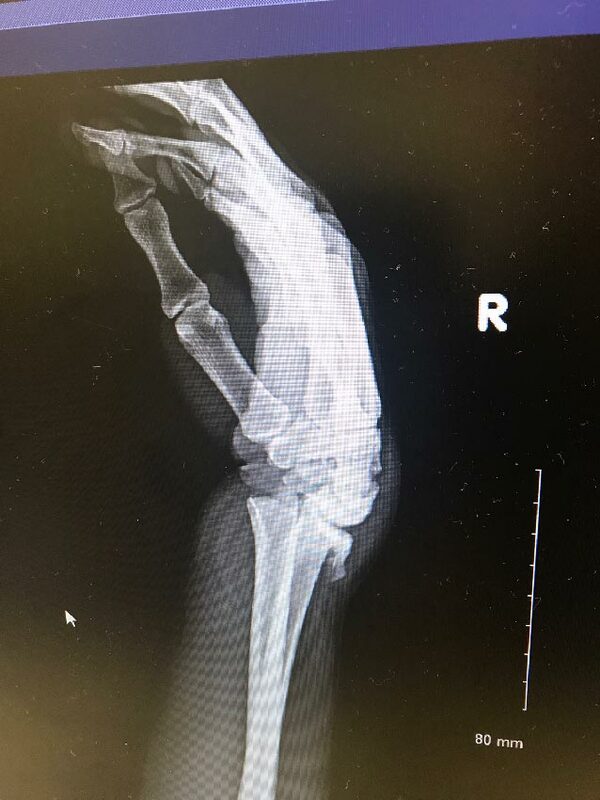 However a more proper diagnosis is recommended before concluding the injury is in fact distal radial fracture. An X-ray scan such as a Computed Tomography Exam (CT) or 3d imaging exam maybe used to accurately determine if there is any abnormalities in the bone tissue that may indicate Distal Radial Fracture. There are a vast amount of fracture patterns depending on the type of fall or accident. There is no one size fits all solution for these kind of fractures and the appropriate action must be decided on a case by case basis. The Doctor must analyze the injury and treat the fractures individually to determine the best outcome for that patient. If your wrist isn’t too painful and there isn’t any signs of wrist deformity then you can wait to see a doctor whenever conveniently possible. A splint and ice pack should be applied to the wrist injury until a Doctor can analyze the extent of the damage. If the pain is severe and there are clear physical signs the wrist is in bad condition then you should seek immediate care at the ER as soon as possible. Colle’s Fracture is when the wrist injury is caused by the bones in the forearm to break forward. For example, when you spread your hands forward to catch yourself from absorbing the impact of a fall. The palm of the hand makes first contact with the ground while the Radius lands hard over the wrist. This may lead a broken wrist. 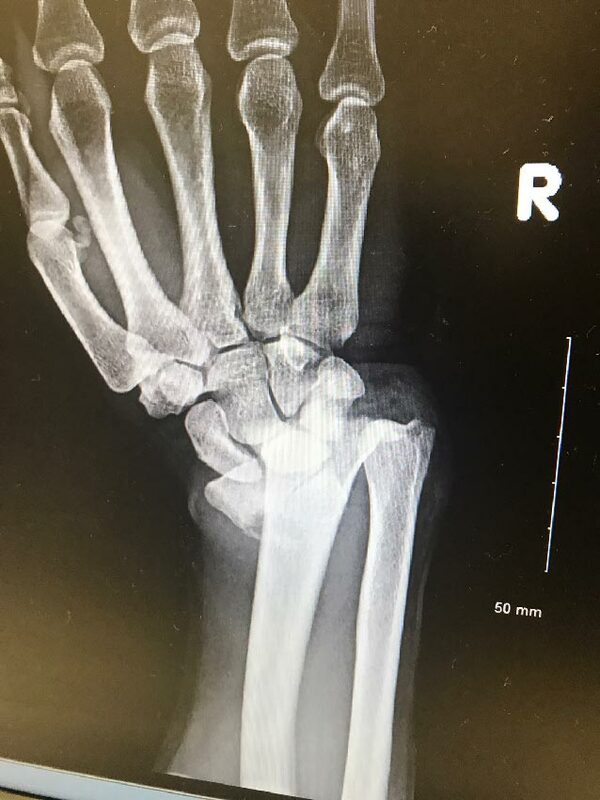 Smith’s fracture are sustained when the back of the wrist makes first contact on impact, forcing the hand under the wrist causing it to break. It is Important to classify the type of fracture early on, some fractures may be more complicated and require more effort in treating the injury appropriately. A fracture that is broken within the joint is considered a Intra-Articular fracture. A fracture not located within the joint is considered a Extra-Articular fracture. When a fracture breaks the skin it’s called an open fracture. When a fracture results in the bone breaking in two pieces it is called a Comminuted Fracture. This fracture is described similar to a sheared road. The bone is split in two, moving in opposite directions.